Many of the much-touted health benefits of red wine rest firmly on the antioxidant compound, resveratrol, found in the skins and seeds of grapes. Since red wines typically enjoy extended contact time with the grape’s skins during fermentation, they will naturally have higher levels of resveratrol. It’s these elevated resveratrol levels in red wine that are causing much of the buzz in many studies correlating red wine consumption with a wide variety of health benefits. Resveratrol is a naturally occurring, powerful polyphenol (plant-derived) compound that has some significant antioxidant properties, which allow it to neutralize the gaggle of free radicals that intend to wreak havoc on critical cellular functions. Essentially, the resveratrol compound is the vine’s primary immune response cleverly designed to mop up free radicals that are dead set on unleashing oxidative mayhem on the vine’s cellular responses. Life, stress, UV damage, pathogens, pollution, and environmental toxins comprise the “short list” of the heavy-hitting free radical producers in both the cells of a grapevine and people. These free radicals have one goal and that is to inflict as much cellular or oxidative damage as possible to an organism in its ongoing effort to gain a stabilizing electron. Free radicals are frequently blamed for everything from the aging process to the degradation of heart health, immune response, diabetes, and Alzheimer’s. Thankfully, a diet rich in antioxidants (in this case, resveratrol) can step in to help render free radicals neutral. Over the last decade, numerous studies have been funded in an attempt to pinpoint the specific health benefits that red wine and resveratrol may offer to red wine drinkers at large as well as its benefits in an isolated supplement form. Resveratrol has been suspected to be one of the “magic keys” in the famous French Paradox; the general observation that the French population as a whole tends to consume a good bit of cheese, butter, bread, and red wine yet maintains relatively low levels of cardiovascular issues as a nation, along with smaller waistlines in general. The suspicions have held as a 2006 study on the benefits of resveratrol conducted by Harvard Medical School concluded that mice fed high-calorie diets along with high concentrations of resveratrol gained less weight, had fewer insulin dependent issues and suffered from fewer cardiovascular-related problems, all while enjoying a longer lifespan. Science Daily sums up several key studies on the relationship between red wine, resveratrol, and health and indicates that resveratrol may significantly buffer the aging process on several fronts including heart health by mimicking a calorie-restricted diet and offering promise for decreasing the body’s chronic inflammation response. A study by John Hopkins University, concludes that resveratrol levels may be a key player in protecting the brain during a stroke by elevating specific enzyme levels. Research at Cornell University indicates that resveratrol has the unique ability to decrease plaque formation in animal brains as they age, highlighting the potential for the same in Alzheimer’s patient. Inflammation can be a serious issue for victims of brain or spinal cord damage along with joint or organ inflammatory conditions. Again, resveratrol offers the potential for decreasing the body’s inflammation response by essentially blocking pathways that allow for significant inflammation to take place, according to research reported in a 2009 FSAEB Journal abstract. The University of Texas Southwestern Medical Center has wrapped up some interesting research carried out on resveratrol’s effects on diabetes. The 2009 study suggests that resveratrol can help lower blood sugar levels and help the body maintain better insulin levels in diabetic mice. Research continues at Sirtris Pharmaceuticals to see if a resveratrol inspired med may play a role in the management of diabetes in years to come. Overall, researchers are optimistic about resveratrol’s unique health benefits, though they may not agree on how much resveratrol is needed to capture the protective effects. 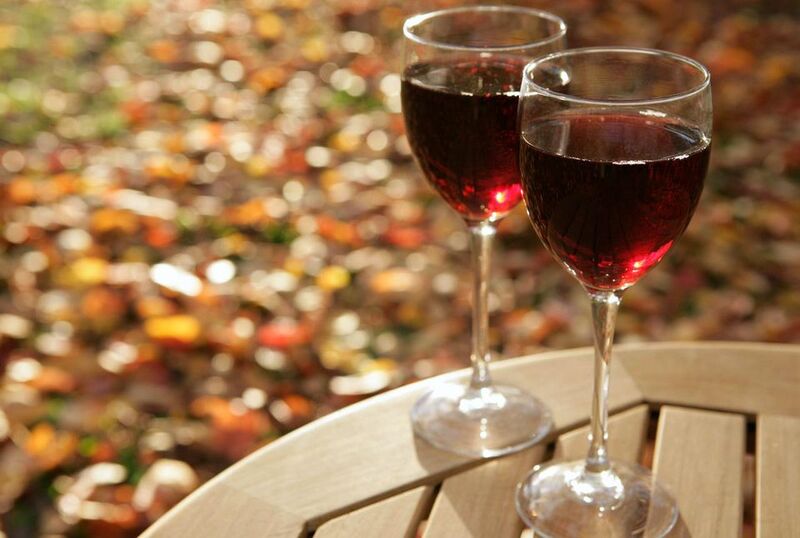 Some research shows dramatic results with small amounts of resveratrol, like that found in a glass of red wine. While other studies maintain that the amounts of resveratrol needed to confer positive benefits could only be obtained through liters of wine a day (which most would agree to be a bad idea for health on any front), leaving the delicate delivery of large amounts of resveratrol to the supplement companies rather than the wine companies. The Linus Pauling Institute has an interesting table that displays the resveratrol levels of various wines, showing that an average glass of red wine will range from 0.2 to 2.0 mg per glass of wine. Are Champagne and Sparkling Wines the Same Thing? Why Does Wine Taste Like Lemon, Cherry, Pepper or Butter? Are Wine Sulfites to Blame for Your Post-Wine Hangovers? It Seems Logical but Is It OK to Store Vino in the Fridge?